Walk into the home of your dreams! Vaulted ceiling and large living room with fireplace is waiting for your personal touch. Beautiful floors in the entry and kitchen (all appliances stay). Lower level family room is perfect for large furniture, game room/pool room. All bedrooms on one level with two full baths. 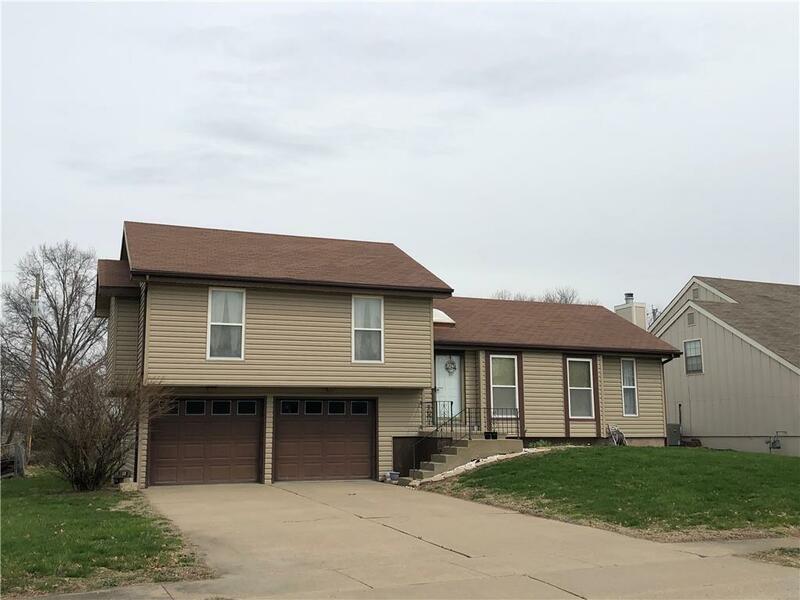 Quiet setting has easy access to Ft Leavenworth, and areas south via 20th St. Come take a look! Directions: 20th Street to High. West on High to home on right.